Ceiling light medallion fixtures and ceiling fan medallions offered by WeGotLites are designed to enhance the beauty of your fans and light fixtures in your home. 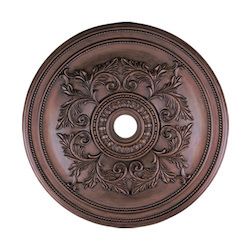 We offer ceiling fan medallions in a variety of styles, each utilizing different materials, design, size, color, and finish. Ceiling light medallions and ceiling fan medallions provide an additional element of design to the interior decor of your home. By choosing the right ceiling light medallion and ceiling fan medallion, you will enhance the beauty of your fixture. While thinking of inside design, most homeowners often think about window treatments, furnishings, floor and wall coverings and color options, while totally ignoring the ceiling. WeGotLites considers every ceiling as a mammoth blank canvas, offering anybody a chance to articulate their individual sense of style while adding importance and value to their home. 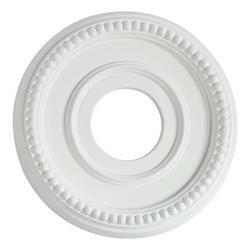 Even though usually ignored in new home construction, even our plain ceiling medallion will propose a touch of stylishness and will show interest to detail. By visiting wegotlites.com, you will find a wide variety of medallions for ceiling; whether they are made of wood, iron, mirrored glass, plaster or plastic. 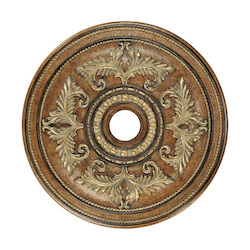 Ceiling medallions for light fixtures also come in different shapes, like oval, square, round, sunburst or rectangular. They come in small, large and extra large ceiling medallions, and even two piece ceiling medallions. 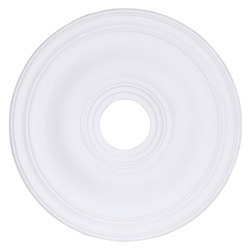 Wegotlites.com can provide you with the right light fixture ceiling medallions that offer you the most beauty and elegance to your room, while complementing the light fixture or ceiling fan. As a leading online lighting fixture seller, we only offer high-quality medallions for your ceiling fans and light fixtures, which are designed to offer the maximum style and charm to the rooms where they are installed. 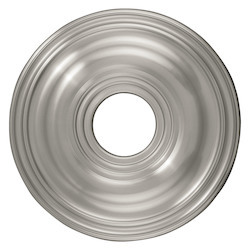 Whether the ceiling medallion for light fixtures you are looking for is modern or contemporary, antique or nautical, Victorian or mirrored WeGotLites will find you the perfect ceiling fan medallion or ceiling light medallion for your home. Ceiling light medallion fixtures and ceiling fan medallions offered by WeGotLites will allow you to improve the look of your preferred lighting fixtures and fans. All our ornamental ceiling medallions and cord covers will offer the ideal accent for contemporary and traditional interiors, and they are easy to install for any fixture or chandelier, whether small or large, bronze or white, mirrored or wood. 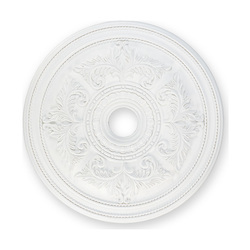 We even carry hand painted, stenciled and decal ceiling medallions if necessary. On wegotlites.com, you can find the exact ceiling medallion and chandelier cable cover design, according to your home decor and taste. Whether you are in search of a stylish ceiling medallion, a cord cover for your home chandelier, or both, these designs from WeGotLites make perfect accents for both modern and traditional fixtures. Some of our medallions are further decorated with unique hand-painted artwork. They are designed to offer a stylish, ornamental accent for any type of ceiling light in your home. 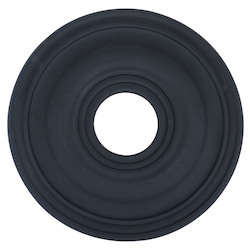 Traditionally 8 inch ceiling medallions, 10 inch ceiling medallions or 12 inch ceiling medallions are used on the ceiling for a small light fixture. 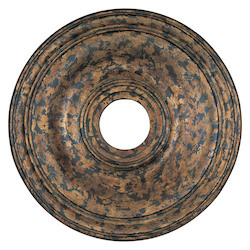 However, ceiling medallions for wall art can also be used. 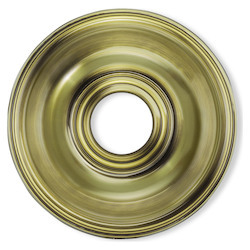 These small ceiling medallions can be easily installed with glue and drywall screws. 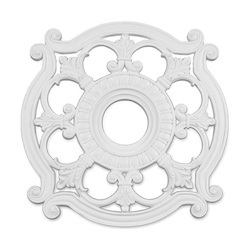 You can also combine our chandelier ceiling medallions with our ornamental chain covers. 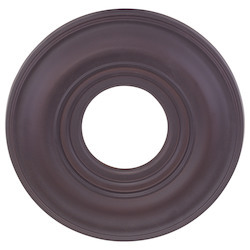 Ceiling light medallions come with an attractive painted finish to blend easily with your home decor and other light fixtures. 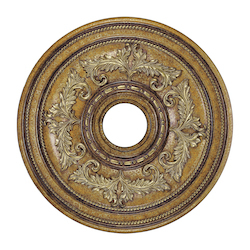 Ceiling medallions for light fixtures come with the antique design of the Victorian era that offers a historic look to the fixtures. 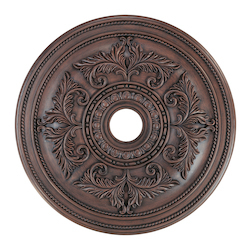 Some of our ceiling medallions are made out of the durable Polypropylene material to offer them a long-lasting life. 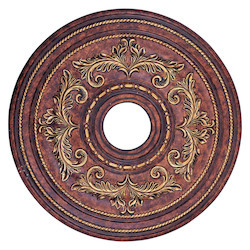 Two piece ceiling medallions can be easy to install. 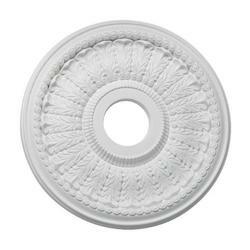 Medallions for ceiling come with adequate width and center opening to fit your fixture. 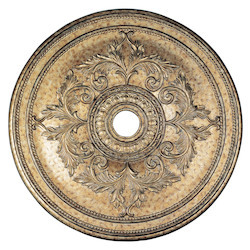 WeGotLites is an ideal all-in-one shopping destination for ceiling medallions for lighting fixtures, fans and accessories that come in a range of materials, designs, and styles. 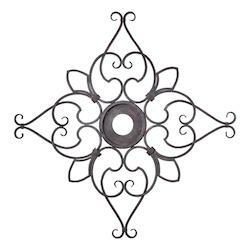 That is why we offer ceiling fan medallions, ceiling light medallions, ceiling medallions for chandeliers, two-piece ceiling medallions, medallions for ceiling, ceiling medallions for light fixtures, etc., for sale at discount prices. 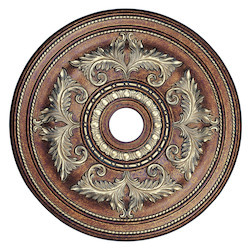 WeGotLites offers ceiling medallions for fans and light fixtures with different widths that include 8-inch ceiling medallion, 10-inch ceiling medallion, 12-inch ceiling medallion, 18-inch ceiling medallion, 20-inch ceiling medallion, 24-inch ceiling medallion, 36-inch ceiling medallion, and extra large ceiling medallions. 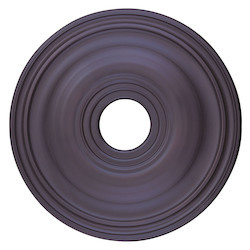 All our ceiling fan medallions and ceiling medallions for light fixtures are made of stronger and more durable materials, such as plastic, metal, glass, steel, rubber, wood, cloth, polyurethane, bronze etc. They also come in different finishes like attractive metallic finish that include mirrored, brass, silver, copper, bronze, pewter, chrome, iron, brushed nickel, oil rubbed bronze, etc. They also come in a range of stunning colors, such as white, black, amber, brown, rust, blue, gold, etc., to offer a perfect match to the interior decor of your home. 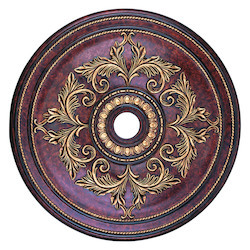 On wegotlites.com, you can buy your preferred ceiling fan medallions, ceiling medallions for chandeliers, two-piece ceiling medallions, medallion for ceiling, ceiling medallions for light fixtures at cheap rates that best fit your needs and your budget. We offer them in different styles to blend discount prices with your other furnishings and light fixtures in your home. 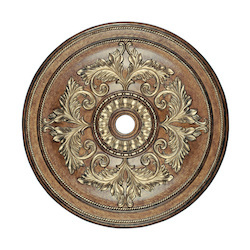 You can find your perfect light fixture ceiling medallions on wegotlites.com. 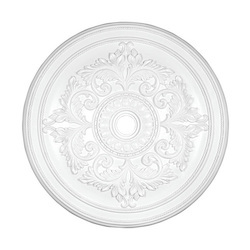 When you think where to buy your ceiling medallions to accommodate your taste and your design aesthetic, think of WeGotLites. 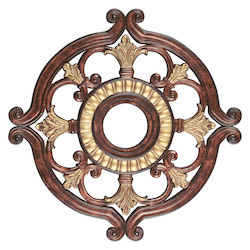 WeGotLites offers ceiling medallions for light fixtures in a variety of styles that include modern, decorative, architectural, antique, mirrored, traditional, Victorian, colonial, vintage, nautical, etc., which will perfectly match your antique furnishings in your home. 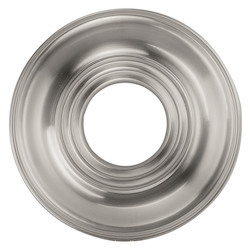 Whether you would like to buy contemporary ceiling medallions for light fixtures in rectangular or oval, you can get everything on wegotlites.com at discount prices. 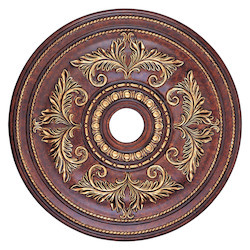 We also offer large and small hand painted ceiling fan medallions, which are attractively designed to go with your decor ideas and the color of any room in your home. 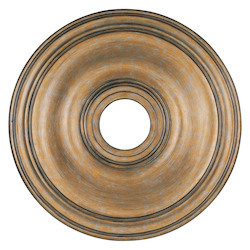 WeGotLites also offers Westinghouse Ceiling Medallion in different sizes with a variety of attractive finishes. All these medallions are designed to offer the maximum versatility, and can easily be attached to any lighting fixture or ceiling fan. All our Westinghouse medallions feature a streamlined, modern design, which will match your existing woodwork or molding. 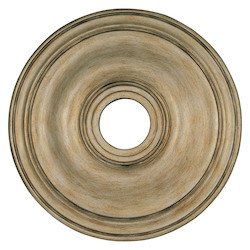 The easy installation and low cost of these medallions make purchasing a light fixture ceiling medallion worthwhile. 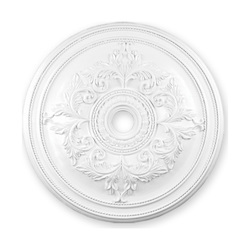 Large ceiling medallions can also cover ceiling cracks and blemishes that may emerge around ceiling lighting fixtures and fans. 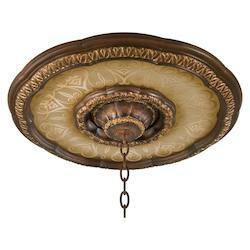 Some simple ceiling medallions offer a nice background for lights and fans. 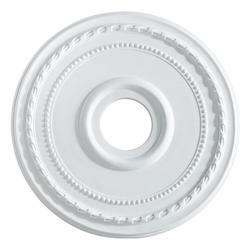 Medallions for ceiling come with an adequate center opening to accommodate the like-size light fixtures. Westinghouse ceiling medallions come with a smooth finish to offer artists the ability to decorate hand painted ceiling medallions. 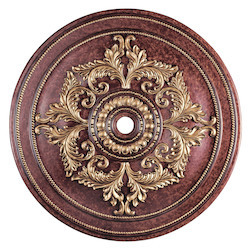 Ceiling medallions for chandeliers can be easily drilled, cut, screwed, or glued. 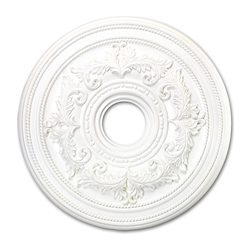 All our Westinghouse Ceiling Medallions can be used on the exterior or interior. 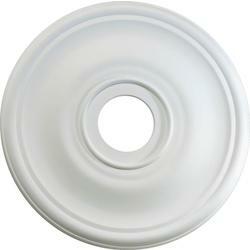 WeGotLites offers Westinghouse Ceiling Medallion in all dimensions, made of durable materials. If you are in search of remarkable deals or discounts online for all your home decorating and lighting needs, then WeGotLites is the place to visit for every day and weekly offers, discounts, and promotions. 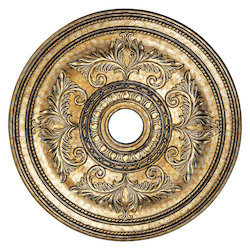 On wegotlites.com, you can find your favorite ceiling fan medallions, ceiling light medallion, ceiling medallions for chandeliers, two-piece ceiling medallions, medallion for ceiling, ceiling medallions for light fixtures, etc., at great prices and discounts. This means that WeGotLites has the deal of the day to improve the beauty of your home in an affordable way. WeGotLites is the leading destination for buying all types of ceiling medallions for light fixtures and for your fans with immense savings. 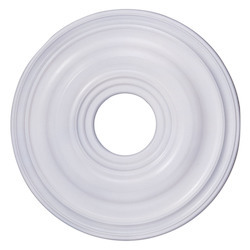 Whether you are seeking a stencil, painted, split, or DIY ceiling fan medallions, you will get all the required accessories for your ceiling fan medallions and ceiling medallions for light fixtures at the best prices on wegotlites.com. Make sure to visit the savings and discount page on our website daily to get your best ceiling light medallions and best ceiling fan medallions to enhance the interior decor of your home in an affordable way. WeGotLites is your greatest resource for DIY projects. With buying guides that offer useful and helpful information to assist you to navigate the buying and shopping process, WeGotLites makes shopping online a breeze. Our useful videos present comprehensive, systematic guidelines for installing your ceiling fan medallions, ceiling light medallion, ceiling medallions for chandeliers, two piece ceiling medallions, medallion for ceiling, ceiling medallions for light fixtures, etc., yourself, so you can do your DIY projects effectively from start to finish. 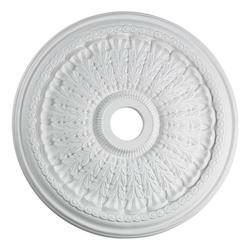 If you would like to install an 8-inch ceiling medallion, 10-inch ceiling medallion, 12-inch ceiling medallion, 18-inch ceiling medallion, 20-inch ceiling medallion, 24-inch ceiling medallion, 36-inch ceiling medallion, or extra large ceiling medallions in your home by yourself, you can find all the necessary guideline on our website. With our DIY ideas, you can also improve the charm of your home by installing your kitchen with new painted, decorative medallions, two-piece ceiling medallions, or with our cheap ceiling medallions for light fixtures. 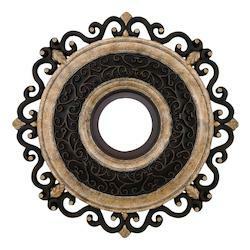 If you browse our website, you will learn the way to complete a variety of DIY projects effectively, which will perk up the beauty of your home by installing the attractively finished medallions for your ceiling fans and light fixtures. 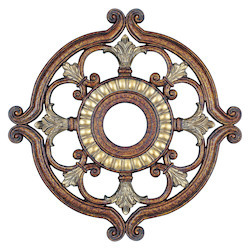 If you are seeking where to buy your favorite medallions for your fans or for your light fixtures at affordable prices, you can confidently visit wegotlites.com, where you will find buying guides. There you can see that WeGotLites occupies the top position in the list of retailers in terms of cost, quality, design, color and material. 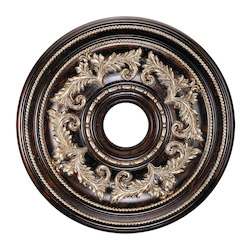 So for all of the effective ways to perk up the charm of your home, look no further than wegotlites.com where you can find your preferred ornamental medallions at affordable prices. Italian regeneration medallion: You can easily add conventional sophistication to your home ceiling with our Italian regeneration medallion. You can bring the look of Italy’s fifteenth century into your home with our gorgeous print featured on our Italian regeneration medallion. Broad repositionable ceiling medallion: The repositionable ceiling medallion offered by WeGotLites offers an artisan, hand-painted ceiling look. These medallions are derived from unique hand-painted artwork. 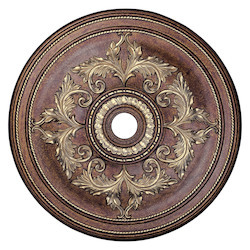 These ceiling medallions offer a distinct accent for all your fans and lighting fixtures. This broad repositionable ceiling medallion features a gorgeous Victorian look. These light fixture medallions are prepared with a sticky backing, making them easy to install and remove numerous times. They are suitable to be installed in dining rooms, bedrooms, and foyers. 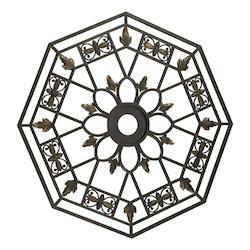 With a complete line of ceiling fan medallions and ceiling light medallions, made of durable materials with different diameters and shapes, such as square, rectangle, diamond, oval, etc., WeGotLites provides you with affordable prices when making an attempt to enhance the charm of your home. 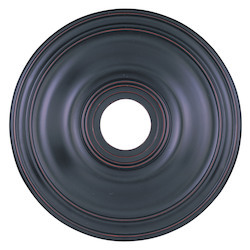 We also offer simple molding rings, ranging from the reproduction of the appearance of run-in-position plaster to richly festooned Victorian styles. WeGotLites has all styles and designs of medallions for every style of light fixtures and ceiling fans for every budget, every taste, and for every room in your home. If you would like to know more about the different styles, materials, colors, and finishes of our medallions for your ceiling fans and light fixtures, visit wegotlites.com now.